Zach Epstein, BGR про 38 оригінальних шоу і фільмів, які з’являться на Netflix у лютому 2019 року. Netflix’s monthly content additions have become something of a celebratory event over the years. After all, it goes without saying that people love their Netflix, and they’re always eager to learn about all the new content headed to their favorite streaming entertainment service. We always give you the scoop as soon as Netflix releases its list of all the new content coming to the service each month, and you’ll find it all in our post from last week. There’s plenty to get excited about in February, including some fan favorite movies like Billy Elliot, Pretty in Pink, Little Women, The 40-Year-Old Virgin, and more. Of course the thing people get most excited about is all the new original content headed to Netflix each month. 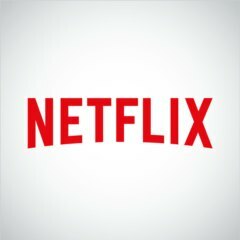 Netflix invests billions and billions of dollars each year in creating some of the best original movies and shows in the world. That investment is clearly paying off, and Netflix has pulled in countless awards for its originals. The company has no intention of slowing down though, and there’s plenty of hotly anticipated original content headed to the site this month. Netflix’s new original content additions start today with two new movies and four new TV show seasons. The most eagerly awaited title has to be Russian Doll, a dark comedy starring Natasha Lyonne where she has to relive her 36th birthday over and over. Another big one that was just released today is the horror movie Velvet Buzzsaw, which looks terrifying. Later over the course of the month, Netflix will release plenty more hotly anticipated originals such as a new season of Chef’s Table, the return of Patriot Act with Hasan Minhaj on February 10th, and several big-name comedy specials including Ray Romano: Right Here, Around the Corner, Kevin Hart’s Guide to Black History, and Ken Jeong: You Complete Me, Ho. You’ll find the full February release schedule for Netflix original shows, movies, and specials below, along with links to each Netflix page whenever they’re available.